The Canadian approach to P3s has positioned the country as a global leader. Public-Private Partnerships in Canada: Law, Policy and Value for Money highlights how that success was generated and what it will take to ensure it continues. It offers valuable insight into all aspects of P3s in Canada, including financing, risk allocation and dispute resolution. Value for money for taxpayers is a touchstone for governments when procuring and building, operating and maintaining public assets and it is a benchmark public-private partnerships (P3s) have proven they can deliver. The Canadian approach to P3s has positioned the country as a global leader: With close to 300 projects over the last 15 years, the competitive marketplace for P3s in Canada has driven lower prices, leading governments at all levels to develop best practices that are a model to the world. Public-Private Partnerships in Canada: Law, Policy and Value for Money highlights how that success was generated and what it will take to ensure it continues. 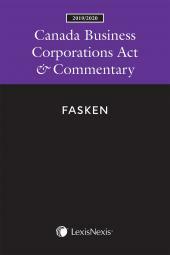 This volume will be a valuable resource for a range of readers – whether you’re a public servant considering P3s in the context of the public interest, a lawyer trying to understand risk allocation, a businessperson assessing a P3 investment or a construction professional trying to parse how P3s differ from a standard form construction contract. 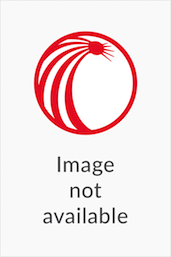 Beginning with the history and policy context of P3s, this wide-ranging publication then goes on to explore how the risks associated with providing assets and services to taxpayers are managed and mitigated by the public and private sectors. An overview of P3s in the U.S., including their historical development, how the U.S. approach compares to Canada’s, federal P3 initiatives, state legislation and agencies, advocacy institutions and recent advances in P3s in the U.S.
Tim Murphy, LL.B., LL.M., is an Executive Partner at McMillan LLP in Toronto. Since 2006, he has advised governments, developers and lenders on public-private partnerships across Canada and internationally. Tim is an adjunct professor at the University of Toronto’s Faculty of Law teaching courses on the law and policy of public-private partnerships at the J.D. and LL.M. levels. 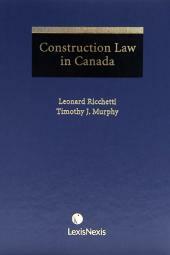 He is also the author/editor of Construction Law in Canada. Formerly Chief of Staff to the Prime Minister of Canada, Tim provided strategic advice and direction to the Cabinet, the Prime Minister and to senior levels of the public service. He also served as Chief of Staff to the Finance Minister of Canada, as a Member of Provincial Parliament in Ontario and as a strategic advisor to governments at all levels. Called to the Bar of Ontario in 1989, Tim was previously a litigator and represented clients at all levels of court. He holds an LL.B. from the Faculty of Law at the University of Toronto and a Master of Laws from Osgoode Hall Law School. Tim also serves on the board of directors of for a number of private, public and charitable organizations.